While the World Series is going on elsewhere, Citizens Bank Park is pretty quiet. The goal of the organization is to be playing baseball at this time of the calendar year. There have been winning seasons in recent years but not enough to crack the playoffs. While it is quiet in comparison to St. Louis or Detroit, there is plenty going on with the Phillies. Aaron Rowand is continuing his rehab by working out at Citizens Bank Park. He and his family have settled in the Philadelphia area. Baseball operations has completed the major league coaching staff, Pat Gillick flew to Seattle to get Jamie Moyer signed, the Florida instructional League program is finished but six prospects are playing in the Arizona Fall League. Gillick and Mike Arbuckle have spent time in Phoenix checking out the Phillies prospects. Pro coverage scouts are watching all players in the AFL and filing reports. Ryan Howard, Chase Utley and bullpen coach Ramon Henderson are part of the USA team that will be playing six games in Japan early next month (Nov. 2-8). Workouts are being held this weekend in Phoenix before the long flight to Tokyo. Game times for spring training games are a work in progress. The season schedule is being tweaked but won’t be finalized until the national TV dates have been selected by FOX and ESPN. The 2007 wall calendar, 2006 video yearbook, the 2007 season ticket brochure, winterizing Citizens Bank Park, reseeding and fertilizing the playing field, regarding the infield, winter tour planning meetings and the promotion schedule for next season are projects that are underway or soon to be tackled. Stay tuned for further updates behind the scenes. CLEARWATER—While four teams are left in major league baseball’s glamorous hunt for October, a group of young prospects continues to hone their skills in the peace and quiet of the Florida Instructional League. The Phillies again have a group of players (37) participating in the program that began in mid-September and ends on October 18. For many of the players, they are exhausted both mentally and physically from the long baseball season. Spring training for the minor leaguers began in March. Players drafted and signed in June are playing their most baseball ever. Camp takes place at Carpenter Field, where the day can begin for some with extra instruction as early as 7:45 a.m. All players are on the Richie Ashburn and Mike Schmidt fields from 10 a.m. until 12 noon, when it is lunch time. During the morning workout, the players are dressed in blue shorts and gray t-shirts. Names are on the back of the shirts in blue letters. The staff wears red shorts and gray shirts. Some of the staff also have gray hair. Fundamentals, batting practice and bunting are part of the daily routine. During BP, one player bunts against a pitching machine stationed behind the homeplate backstop while two others are hitting in the cage. Afternoons are games against other teams, the Devil Rays, Pirates, Blue Jays and Yankees. Phillies home games are held at Bright House Networks Field. Today’s crowd for the morning workout numbered three ….three baseball scouts. For the game this afternoon against the Pirates, the number of scouts tripled. Fans totaled about two dozen. For a couple of infielders, changing positions has been the agenda: Adrian Cardenas, a sandwich pick shortstop in June, is splitting time between his natural position and second base while C. J. Henry, a shortstop acquired from the Yankees in the Bobby Abreu trade, is getting time at third base. The roster includes a #6 and a #26. No, Ryan Howard (6) and Chase Utley (26) are not here. Early in their pro careers, they were. This fall, #6 is a 19-year-old Australian catcher named Tim Kennelly. #26 belongs to first-year outfielder Ken Milner, a 6-foot-5, 240-pounder. Both Kennelly and Milner played at Batavia during the summer. There are 19 players under the age of 20. The youngest is shortstop Freddy Galvis, a 16-year-old from Venezuela. The FIL is his first taste of pro ball. One of the 17-year-olds is RHP Heitor Correa whom the Phillies signed a year ago out of Brazil. There’s a global flavor with players from Australia, Venezuela, Dominican Republic as well as Brazil. Q—How many baseballs do the Phillies use in a season? Q—Will Jamie Moyer be back with the Phillies next year. 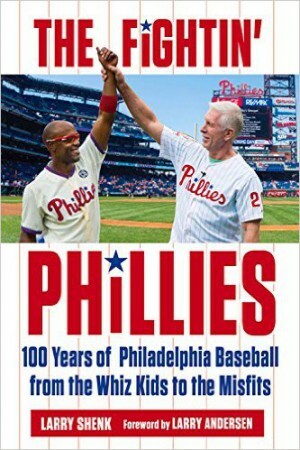 Q—Why was Charlie Manuel brought back? Q—When will the National League MVP be announced and what are Ryan Howard’s chances? Charlie Manuel trotted out his regular lineup for this afternoon’s final game, the first meaningless game for the Phillies in the last two seasons. 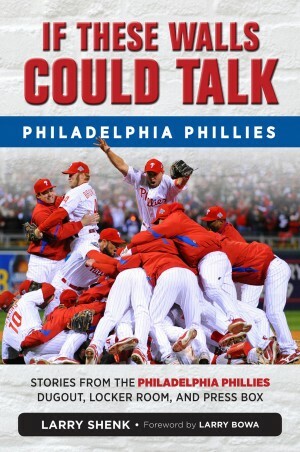 Meaningless in that the Phillies were eliminated in game #161 on Saturday as opposed to a year ago when they were sent home after the last game. The final road trip read: 3 wins, 3 losses, an 11-inning game, a 14-inning game and a 4-hour, 27-minute rain delay. Some players headed for their off-season home after today’s loss. Others boarded the charter flight back to Philadelphia. Some of the players will pack tonight, some tomorrow and others may do so later in the week. Some players will be in Clearwater next spring, which is something like 138 days away. Others will not return. There are far more plusses on this team than minuses. Pat Gillick and his staff will start the process of looking for ways to improve the team for 2007. It should be an interesting winter.